In 2012 Spike is following in his fathers (Archie) foot steps in tracking. 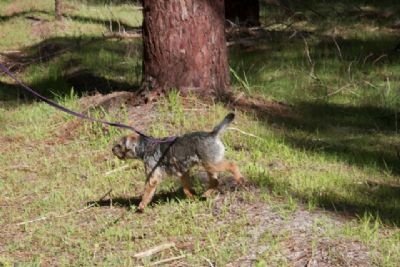 Spike has completed his first tracking test in WA, with a good. Spike is now on his way to his tracking dog title. Spike has his Tracking Dog Title, only a couple of more trails and he will have his Champion Tracking Title. Looking foward to the 2013 tracking season.Spike's gains his Champion Tracking Title and is starting Track and Search. Thank you Glenbogle for sending this beautiful dog to live with us.